One of my favorite movies, Out of Africa, begins with these haunting works, spoken by Meryl Streep's aging character Karen Blixen as she remembers her life in Kenya (then British East Africa). This post is nowhere near as fascinating as Blixen's remembrance of a life and love lost long ago (a real story, not fiction), but my lament is similarly wistful. I had some hostas in Davis not far from Interstate 80. They grew happily in the backyard when I first planted them, but they struggled in the summer heat. 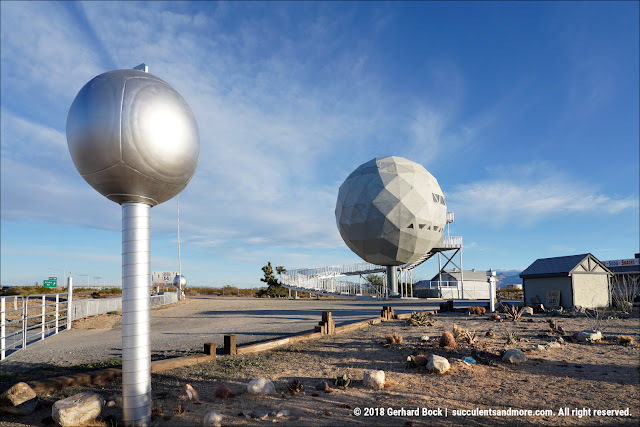 Our winters were so mild, they weren't able to spend enough time in dormancy. As a result, they were smaller and weaker when they came back the following year. And the year after, most of them didn't return. The exception was ‘Sagae’, shown below. It hung in there valiantly for three years. But finally it, too, succumbed. I was able to rescue another favorite, ‘Orange Marmalade’, by taking it to my in-laws in the mountains of far Northern California, where it's still alive today. Now, six years after the start of my Great Hosta Experiment, I have two hostas left. Since they come back year after year, it's safe to declare them survivors. The first one, ironically, is a freebie I got with my original order (see first photo above). It was a tiny thing, just a starter plant, but it has turned into a real beauty. Appropriately, its cultivar name is ‘Climax’. It looks like it will forever be the climax of my hosta-growing efforts. The second one is ‘Sum and Substance’. I bought it in a 4" pot at a local plant sale. This is one of the largest hosta cultivars, at least in climates where hostas thrive. In our backyard, ‘Sum and Substance’ is about the same size as ‘Climax’, certainly nowhere near its potential. With more fertilizer and water it would get bigger, but I don't have any extra water to spare. 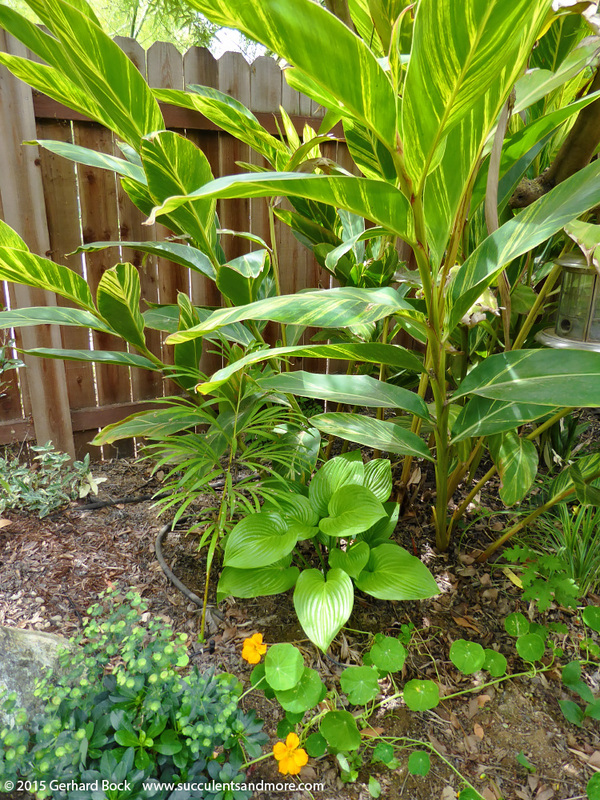 Still, I like it just as it is; it provides a nice contrast against the variegated shell ginger (Alpinia zerumbet ‘Variegata’) and the other plants in this spot. But my two hostas pale in comparison to Portland, OR where the next three photos were taken. Just look at that lushness! I don't think it will ever rain enough here in the parched Central Valley of California for us to experience anything like it. 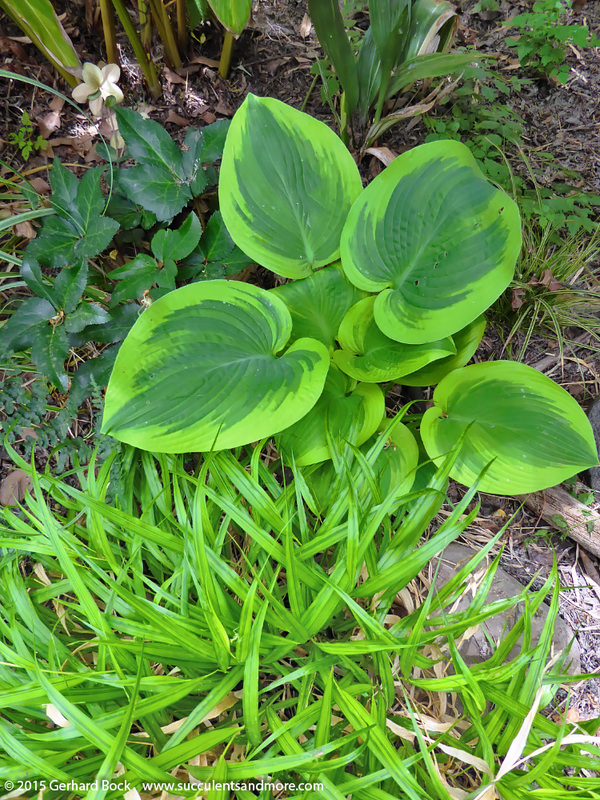 So why don't hostas do well in mild-winter climates? Like many other perennials, they need a period of dormancy in the winter. Dormancy is induced by low temperatures. 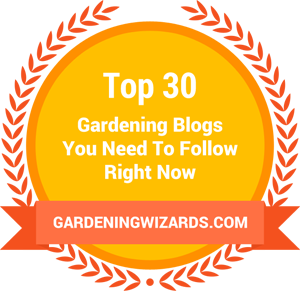 According to the Plant Delights website, most hostas need at least 30 days below 43°F. This is a genetic requirement, based on where each species originated. You'd think this requirement would be easy to meet, but in our zone 9b climate, we just don't get 30 solid days (= 720 hours) of temperatures below 43°F. 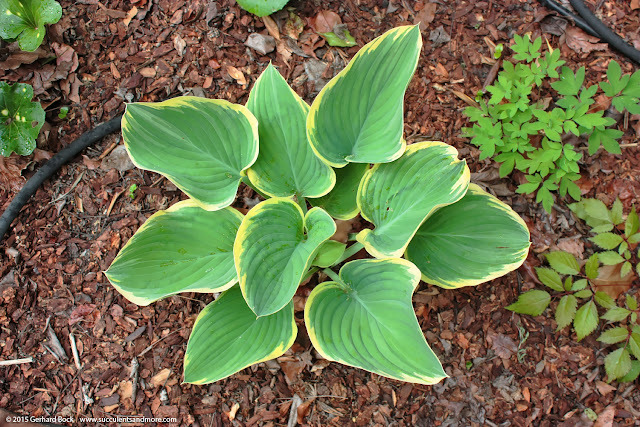 There are some hosta species from areas with warmer winters. Supposedly, they have the best chance of surviving long-term in a climate like ours. Most of the hostas I originally ordered were such cultivars, but it still didn't make any difference. Another issue is water. 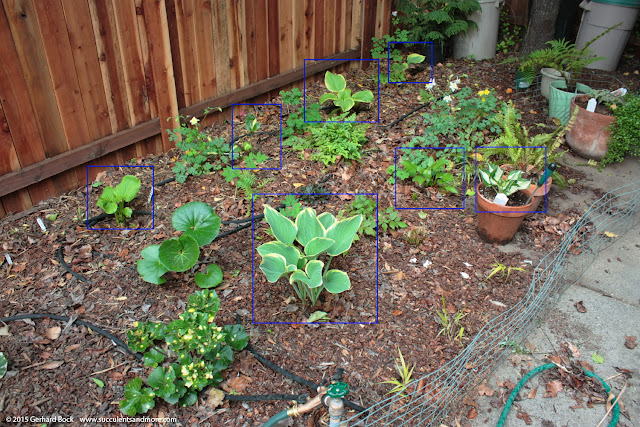 All hostas are from areas with high rainfall. According to The Color Encyclopedia of Hostas, they need about 1 inch of water per week while actively growing. There's simply no way I could meet this requirement in our Mediterranean climate where it doesn't rain between May and October. Plus ‘Climax’, which came as a freebie. That was $120 worth of hostas. ‘Orange Marmalade’ lives on in my mother-in-law's garden and ‘Climax’ is doing well in mine, but all the others are long gone. It's ironic that we always want what we cannot have, isn't it? I also know that the only way to get it out of your system is to try and fail. Otherwise you'd always wonder. It's okay to experiment. I love hostas, but have never tried to grow them. 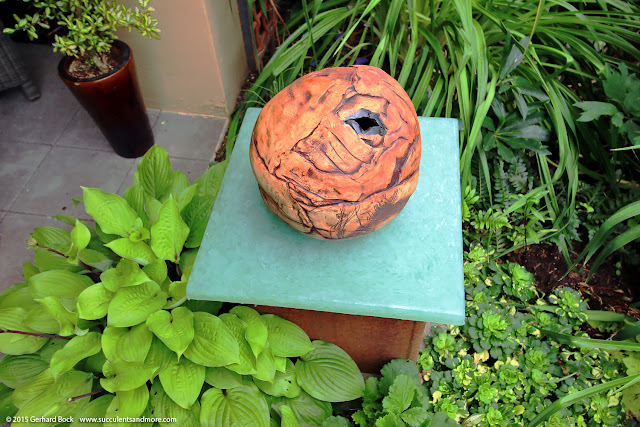 The big S&S in pots at the JJ de Sousa garden I still recall with a sigh. That you still have a survivor is impressive! JJ De Sousa's 'Sum and Substance' were insane. Mark took a photo of me being swallowed by one. I've made my peace with hostas. I'll continue to enjoy the two that are left but am not tempted to add more. 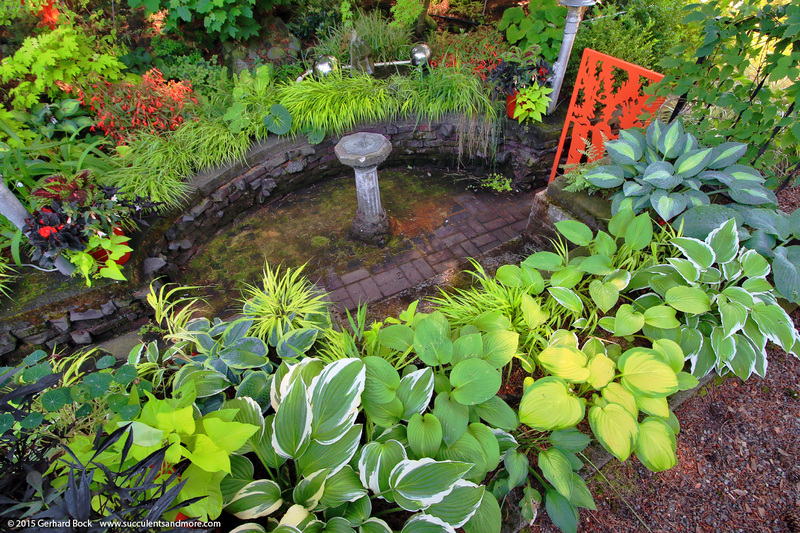 Wow, why don't I remember seeing those Hostas along the pond in JJ's garden? Hmmm, must return for another visit soon. I really am impressed you're got any happy Hosta (nice job) and now I'm amazed I do to, cause there's no way they get "1 inch of water per week while actively growing"...over the winter (when they're dormant) and the early spring yes, but not this month and certainly not during summer proper. I think the 1" of water a week claim is not necessarily correct. Portland gets the required chill hours, and I think that matters more than anything else. File under: Cool Plants I Will Never Grow. But I love to see them in other gardens! Your survivors are beautiful, and ye gods, those Portland gardens... so lovely. 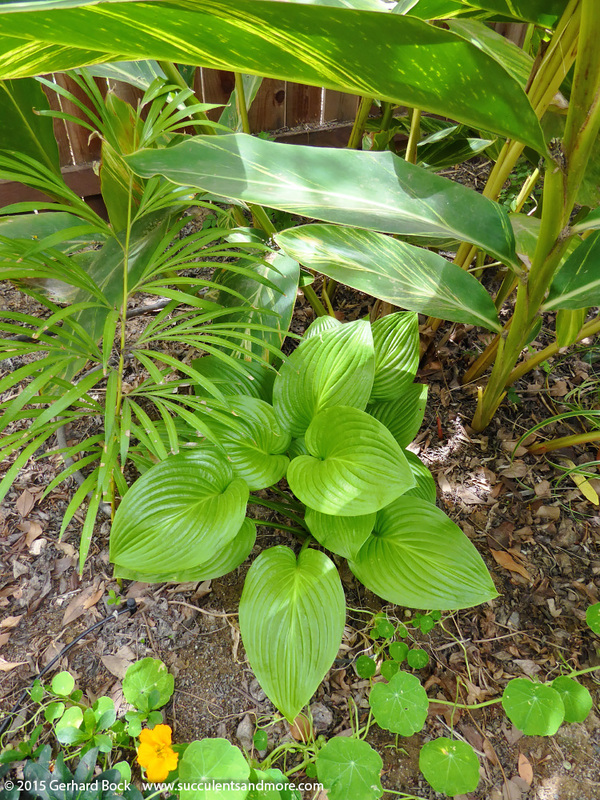 Hostas do look out of place in desert gardens (even if they grew in the desert) but they combine well with tropical foliage. I'm happy that I have a small corner of the backyard where I can grow both. Six years ago you really were climatically optimistic (hostas, bamboos...) weren't you? Pushing the boundaries of what's "possible" is one of the fun things about gardening (and probably one of the things that keeps the nursery industry thriving -- replacement plants). What's ironic is that every nursery in the Sacramento area carries hostas. Heck, our local Costco had a whole rack of them last week, together with hydrangeas. Talk about being out of touch with reality! You're not doing consumers any favors by pushing plants that will die within a year. I didn't realize Davis had such mild winters. I lived in Sacramento for 6 years and remember the winters as being very cold. Is it that different? 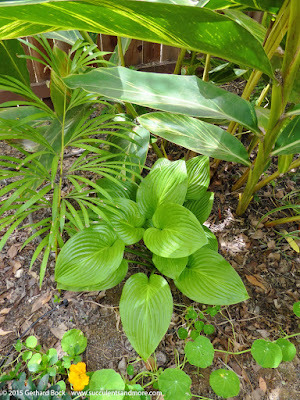 I have hosta's here in Houston in my two shade gardens. I have Stained Glass, So Sweet and trying Guacamole for the first time this year. The others have been happy and spreading for several years mixed in with a variety of fern. They have really been enjoying all our rain of late, we had 19" of rain in May! So wish I could send it to California to my family and friends!!! I'm super impressed that you can grow hostas in Houston. It must get cold enough--and long enough--in the winter. And yes, please send us some of your rain! The amount you had in May is insane. I love hostas too - you can't beat those leaves for impact in a shade garden. Like you, I experimented with them in my former, shady garden in a nearby beach city and had much the same experience - they just faded away. If you find any large-leafed, tropical-looking plant that does well with little water and tolerates shade, please let me know. That's my holy grail right now. All I can say is thank god for agaves (and books!). I don't have much shade anyway. To match your memoir musings, I brought Life of a Storyteller, the biography of Blixen the movie was made from, to the hospital with me when Mitch was born, and read it every spare minute until discharge. Took my mind off the surroundings. I do this in planes too -- survival situations! Maybe the vigor and gigantism of S&S makes it a candidate for less-than-optimal conditions. I read the hosta lists in Plant Delight's catalogue just to marvel at the names and endless variety but don't really feel too deprived anymore. 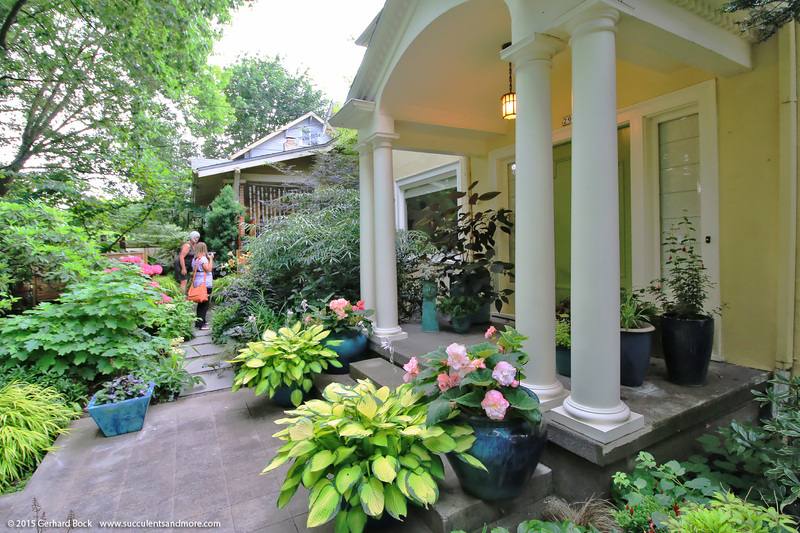 Some things, like hostas and peonies, just aren't meant to be! LOL, I agree with you 100% re. agaves and books. I've been wanting to read Judith Thurman's Life of a Storyteller for many years. Maybe now is the right time, seeing how Karen Blixen aka Isak Dinesen has been on my mind. I've already pulled my Out of Africa DVD out of the drawer. I prefer to watch it alone because I always cry at the end. S&S has Hosta plantaginea parentage, one of the best species for warm-winter climates. That must explain it. Thank you for posting this. I live in Roseville, and was thinking about planting hostas. I know nothing about them, your post was very educational for me. I'm glad you found my post useful. I wonder how many of my stalwarts will come back this year, considering what a mild winter is has been?